How To Be Fabulous. 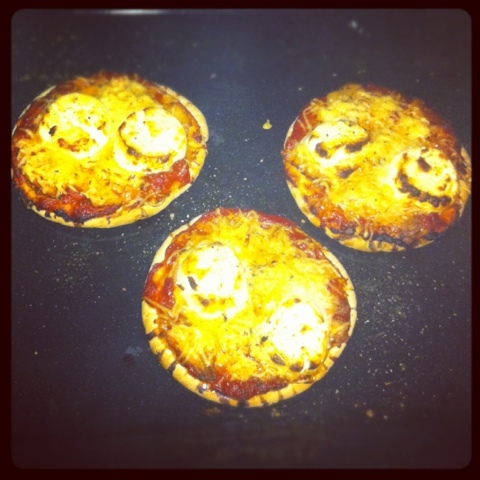 : Recipe: Fabulous Mini Pizzas with Goat Cheese! These are so easy to make and ready in no time! Turn the oven to a high setting. 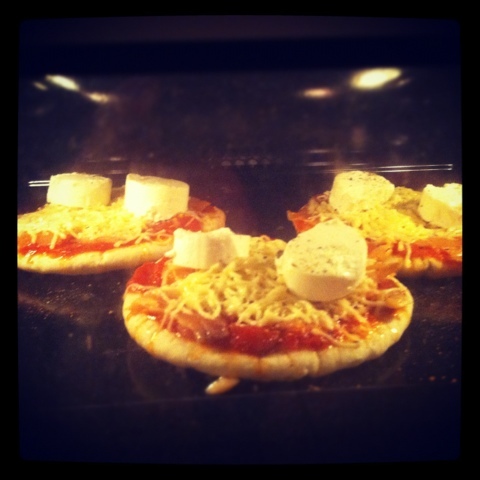 Layer the sauce, shredded cheese, then cheese rounds on top of the pitas. You can drizzle a bit of olive oil, sprinkle some chili pepper flakes, or add some fresh basil if you want as well. Pizzas are ready once all the cheese is melted.